In 1996, I won a bike race. Last night, 14 years later in the muted twilight of the forest at Bear Brook, I started to remember what that felt like. 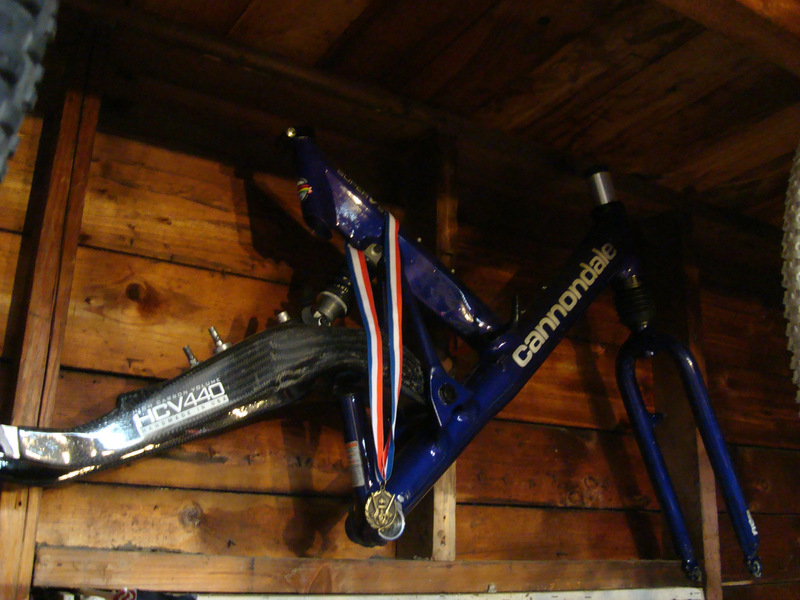 Fourteen years ago I lined up my Cannondale Super V 900 with a handful of other beginner mountain bike racers in Durham at Kingman Farm. Billed as the Eastern Collegiate Championship race that year, our lowly D group was to negotiate (3) 2-3 mile laps of the course. Appropriate for our level of fitness to be certain. Later in the day, the fittest A group riders would be completing at least eight. Outside of the few races I entered, I rode often, but aimlessly and without any kind of serious training plan. Only casually invested, three laps was the right number for my ability level. At the line, I took no end of ribbing, being the only rider astride full suspension. Billed as an unfair advantage by the others. If they only knew the weight penalty imparted by this early technology, coupled with the incredible differential in efficiency as compared to their hardtails. Certainly they would have reacted differently, knowing it was they who truly had a technological advantage. I remember that feeling of leaving the starting line, brimming with nervous energy. A confidence that I would not necessarily win the race. But a knowledge that such an idea was not unreasonable. No preconceptions of what I could or couldn’t do. The field felt very level. Off we went. There was an absolute mud bog of a doubletrack in the final third of the course, only a few hundred feet before the largest climb of the lap. The group had to come into the bog single file to ride the high ruts, which were faster than fording the water of indeterminate depth. On the first lap, I yielded to that idea and allowed a few others to slot in ahead of me. So I believe it had to have been on the third and final lap, the single file concept wasn’t going to fly with me. I knew I needed to GO. 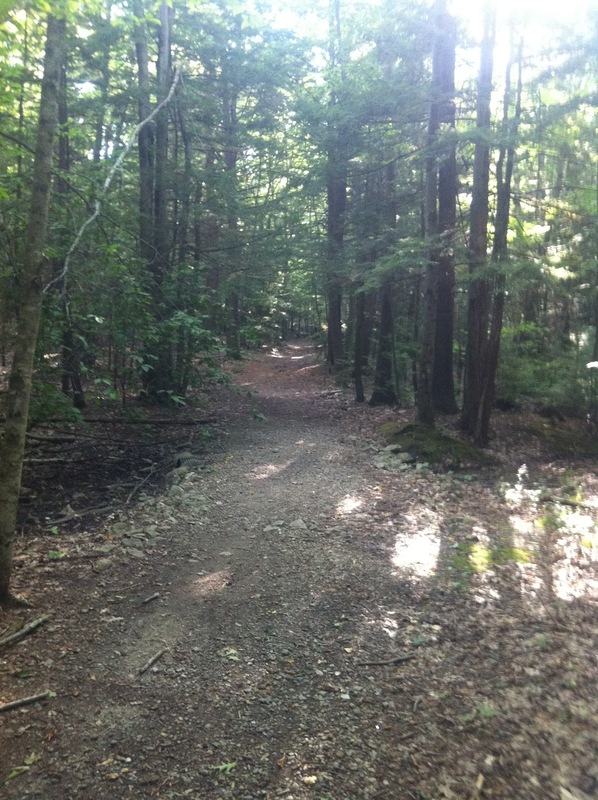 As riders pulled into the doubletrack and took the high, dry, and narrow path around the water, I proceeded straight through it to the left of them with patience and pace. The water not nearly as deep as it appeared, I began to pass the drier, more cautious riders who were single filing along the top of a rut. Just as I came parallel with the riders, one of them sketched out. Losing balance, the rider created a chain reaction that toppled the 2-3 of them off the rut, into the water, and on top of me. Everyone down in the muck. Off our bikes, trying to collect ourselves, this was the moment. This was the selection. I just knew this. First to regain footing and remount my bike, I knew this was where it was going to happen. Site of “the selection”, taken in 2011. They’ve since added a culvert for drainage. The feeling in your guts is unmistakable. No one tells you; you just know it’s your race to lose. You can sense the possibility and the immediate unraveling of everything your body can give for it. Senses at maximum awareness. The body’s systems working at their peak possible sustainable threshold. None of it can be practiced; it is raw instinct running on overdrive. You are just a machine, demanding and consuming oxygen, firing output with every turn of the legs, hoping to God you have just enough to hang on and stay ahead of the predators surging behind with the same bloodlust propelling you forward. None of the details matter; the course is reduced to turning or not turning. Anything in your way is an irrelevant blur as your heart pounds and your lungs forcefully comply. You know beyond a shadow of a doubt that you are in a position to claim thrilling achievement, you must give everything for it, and you cannot let it go, as you are just as easily on the brink of success as you are the precipice of total disaster. Without panic, back on the bike. Not a moment’s hesitation. No time for reflection. I gap the group. Do not look back. Go. I knew that once atop the biggest climb of the course, I could take advantage of my full suspension. Albeit a tragically inefficient design, I eviscerated the switchbacks on that final descent, taking every chance. As the singletrack straightened out and elevation plunged, I positively flew, allowing the bike below to absorb everything placed in its path without regard. Big ring engaged, motoring through the descent, past the orange snow fence at the bottom, and into the acres of field that separated me and the finish line. A big ring romp for a quarter mile. Do not look back. Drive this thing into the ground. You can win. Looking back at the finishing straight. 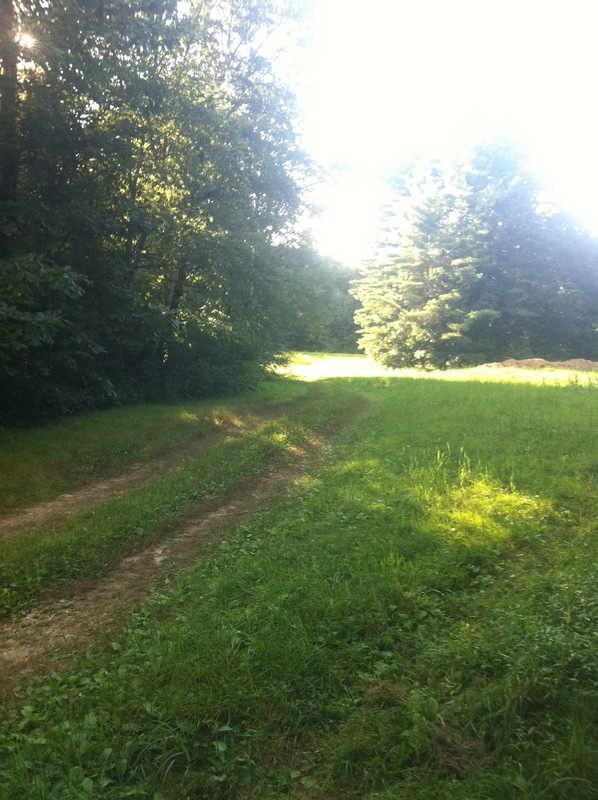 One turn to go, exiting the field and back onto a fire road. This was the finishing straight. I have the guts to glance back. Maybe a hint of someone just coming off the descent. I know they will never make it. Lifting off the accelerator slightly now, motoring through the finish line, a brief fist in the air, and the race is over. It is the first and only bike race I have ever won. It is a feeling I could never mistake for something else. Not just crossing the line, but the total package, start to finish. What that whole thing felt like. I have never once had it since that time. My mentality is different now. Cite any number of reasons; you call them reasons, I call them excuses. It doesn’t change the fact when you get down to it. I do not race with that sense of possibility anymore. Last night something got into me as I led our regular Wednesday night ride through the woods. Knowing I had nothing to save for the following day, I saw a gap form between us, and all alone out front, a switch flipped. It was like fourteen years ago, pulling myself out of the water and wringing out my soul to try and win at Kingman Farm. It happened last night again and again and again as I relived those sensations like that race happened yesterday. Surging the bike ahead with every ounce of new found strength in nothing short of a controlled panic. The unmistakably familiar feeling. My riding partners hated my guts for it to be sure. I put them through an hour and a half of it. They almost certainly will never let me lead again. And I will atone. But I needed that to happen. I needed to remember why I race. I am not racing just to finish, or racing just to race. That’s why I ride, but not why I race. That mentality is over. It is finished. It is over and done with, and it is through. We are racing to WIN.